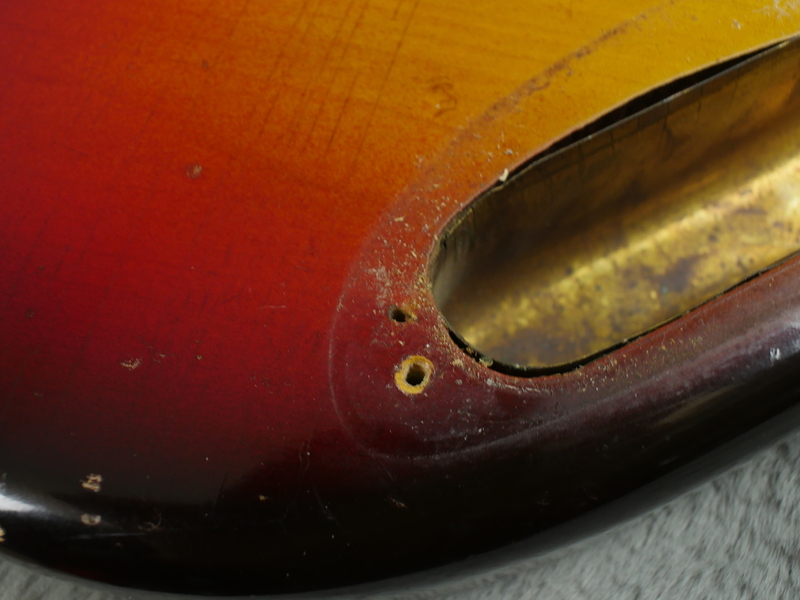 The guitar is in superb shape. 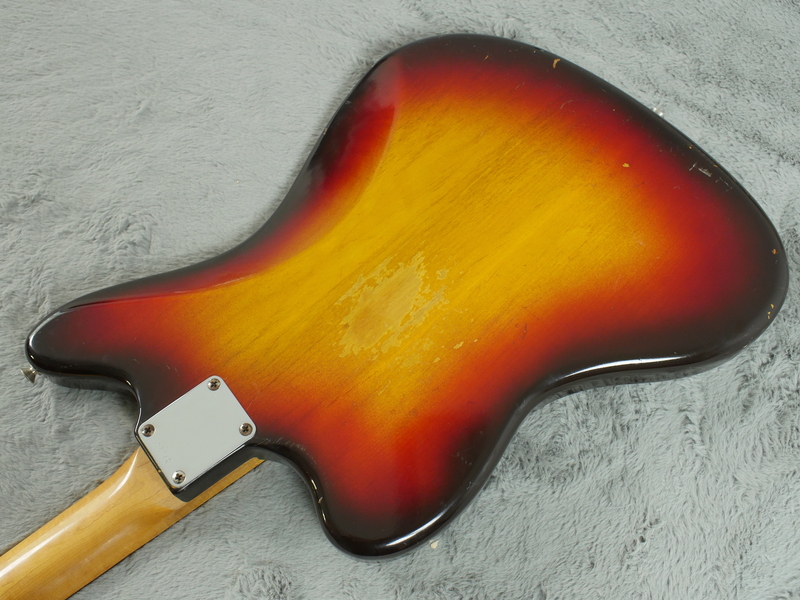 A few dinks where you’d expect them and some buckle rash to the back but the sunburst finish has remained reasonably un-faded and still a deep lush, vibrant hue. 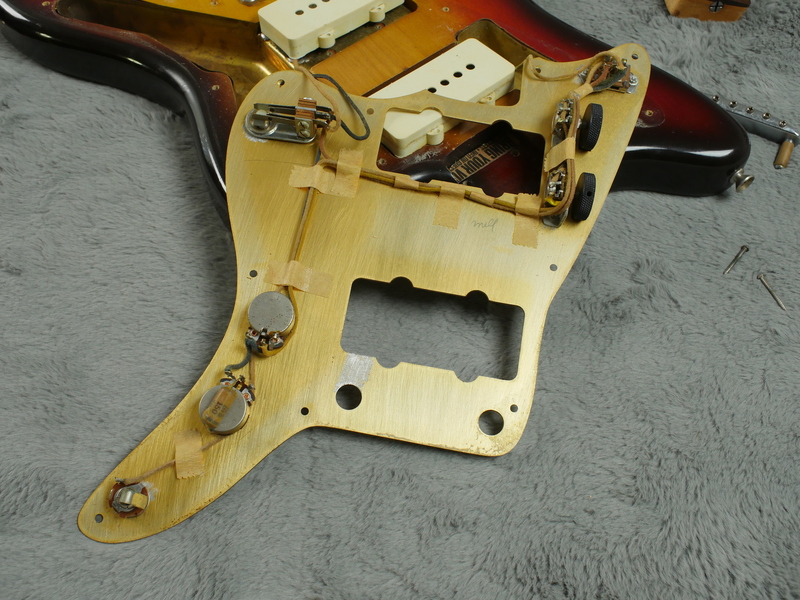 The anodised aluminium pickguard, soon to be replaced by celluloid in the middle of the same year, like the body is untouched by time. 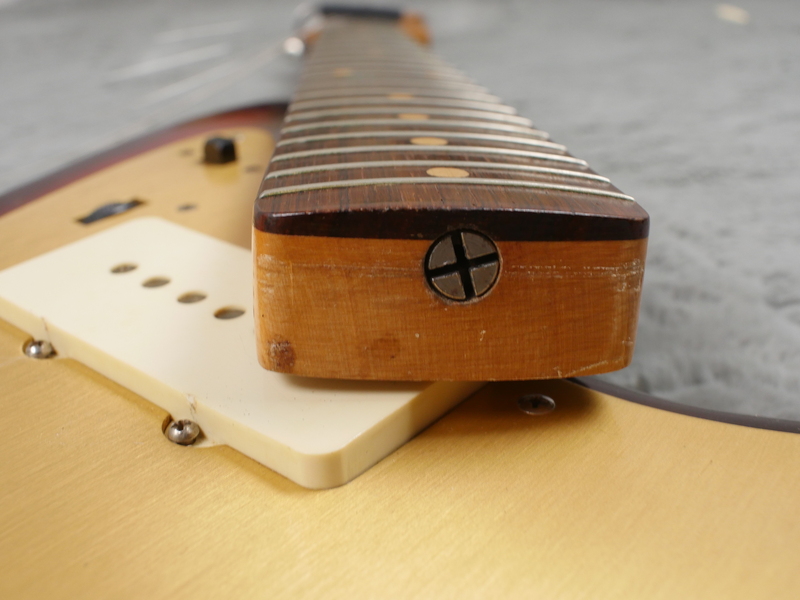 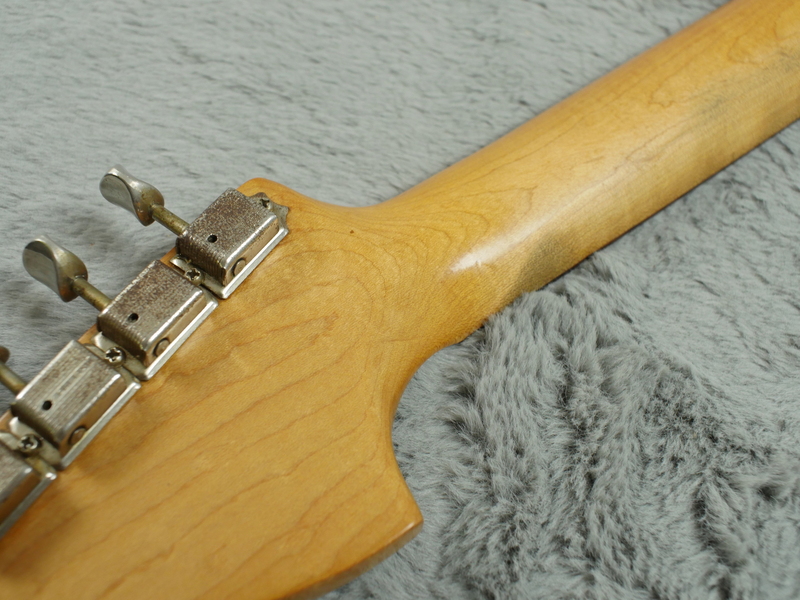 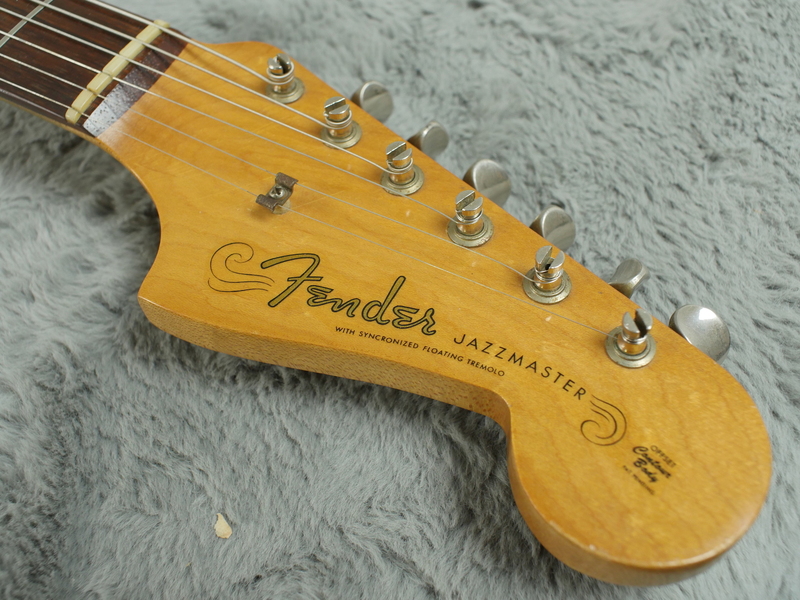 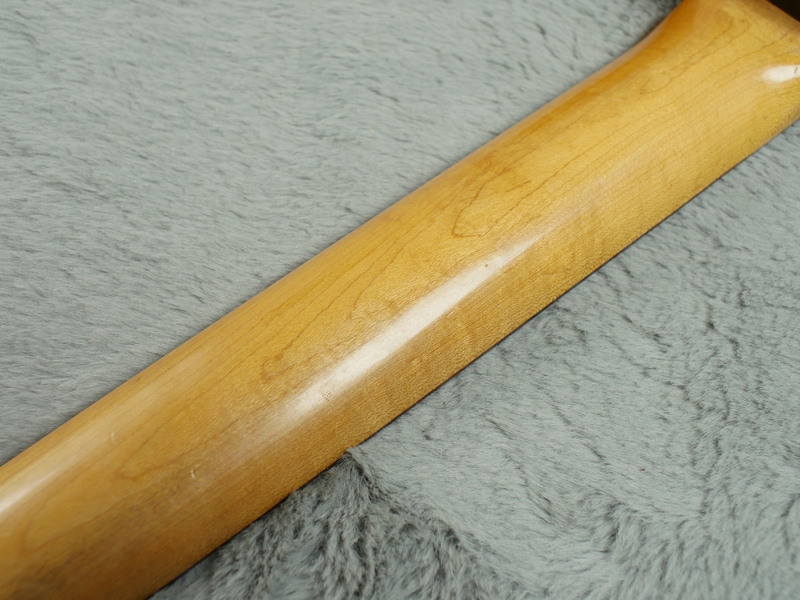 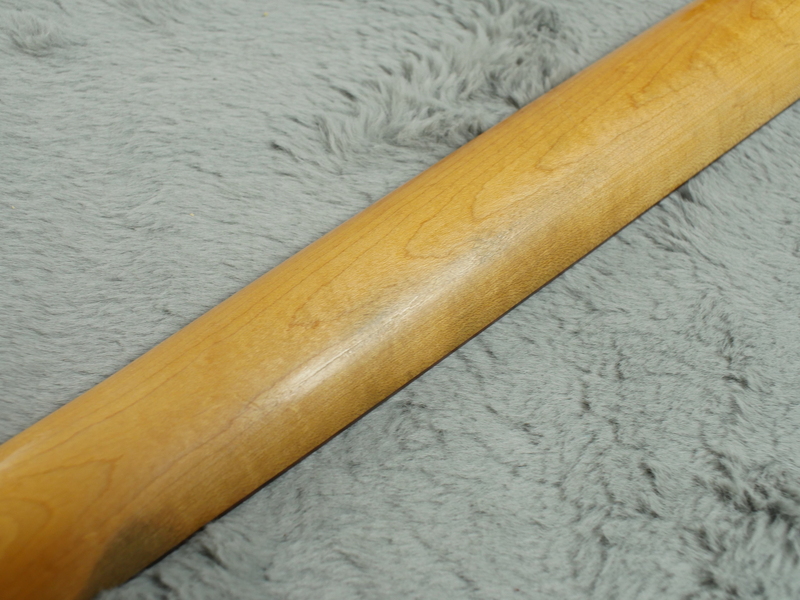 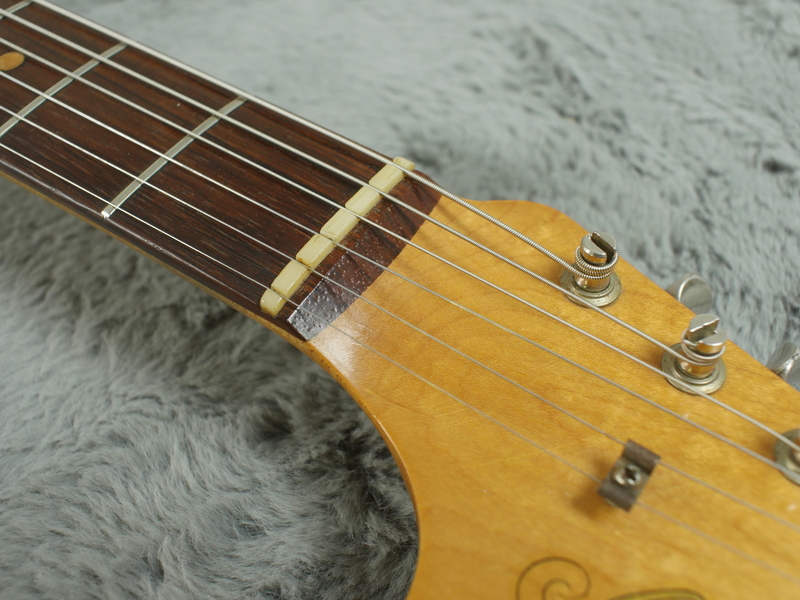 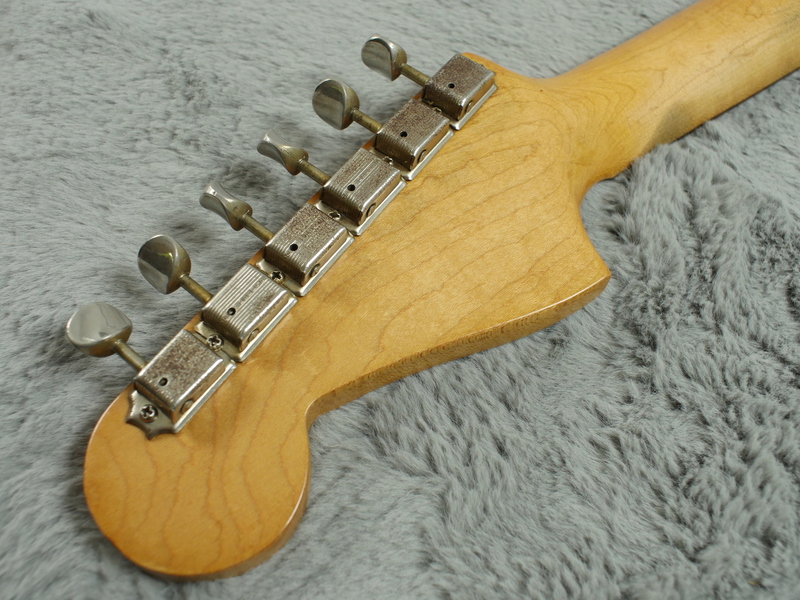 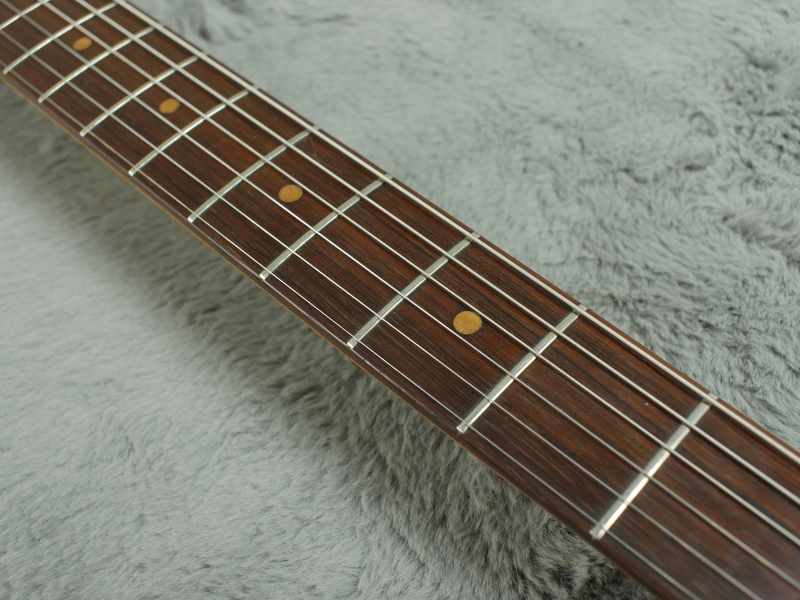 The neck shows signs of use, particularly around the first few frets, but not so evident on the fretboard itself. 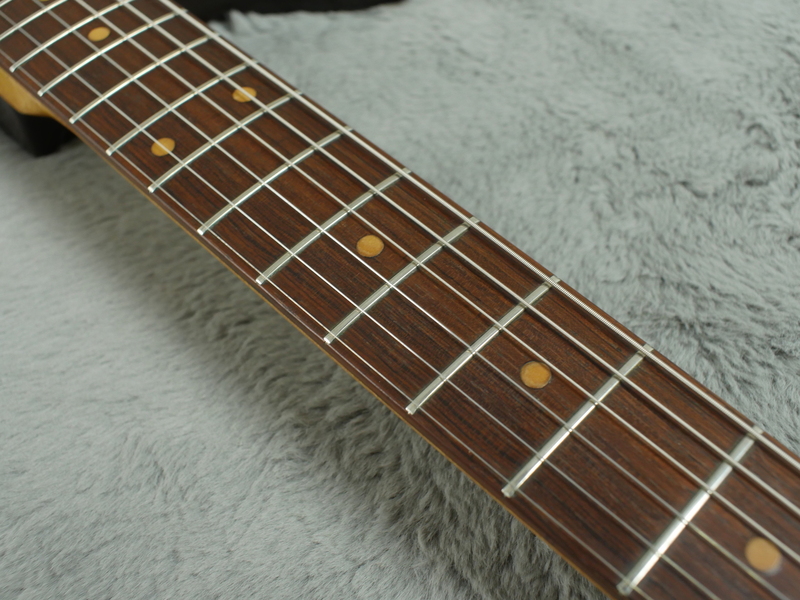 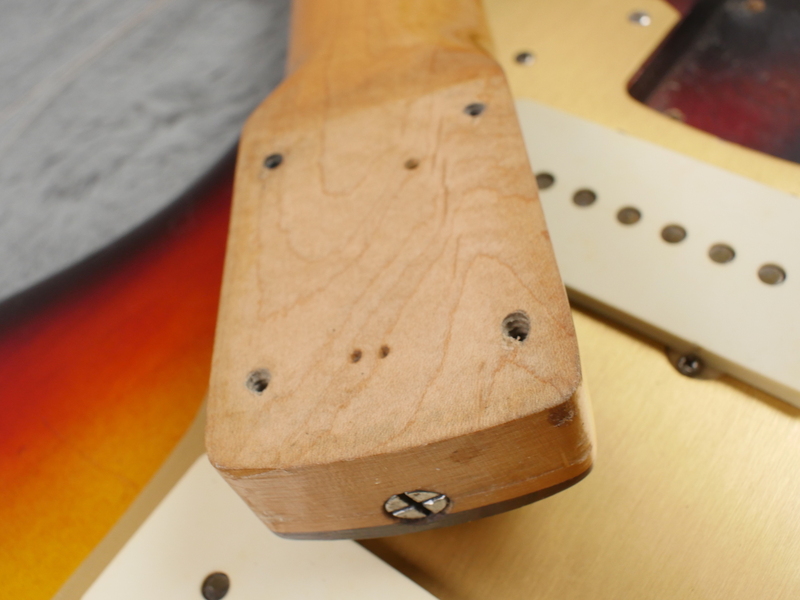 The original frets are evenly worn with plenty of life left in them. 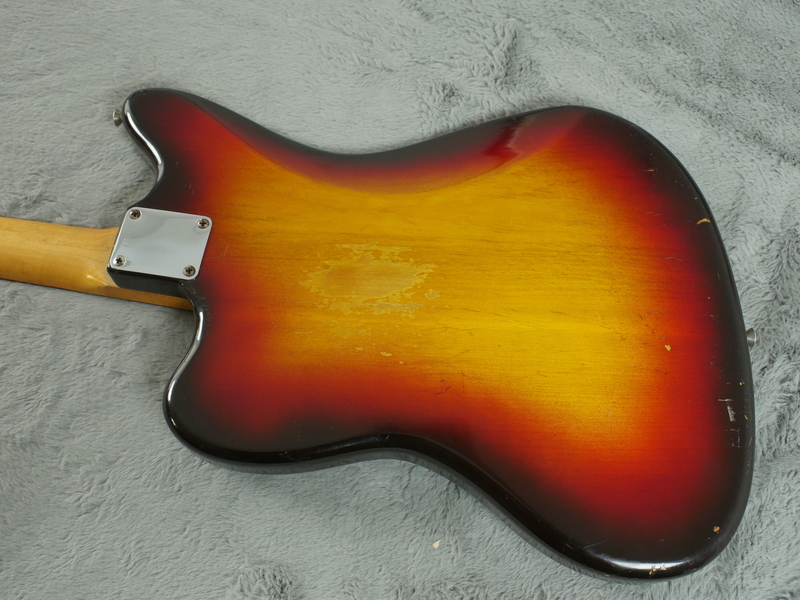 As is usual for mid 1959, the neck date is missing due being suspended for a while because of alleged profanities written by an employee (we would love to see a pic of this infamous piece of Fullerton folklore btw) and a previous owner has taken off some finish on the underside of the neck heel for some odd reason. 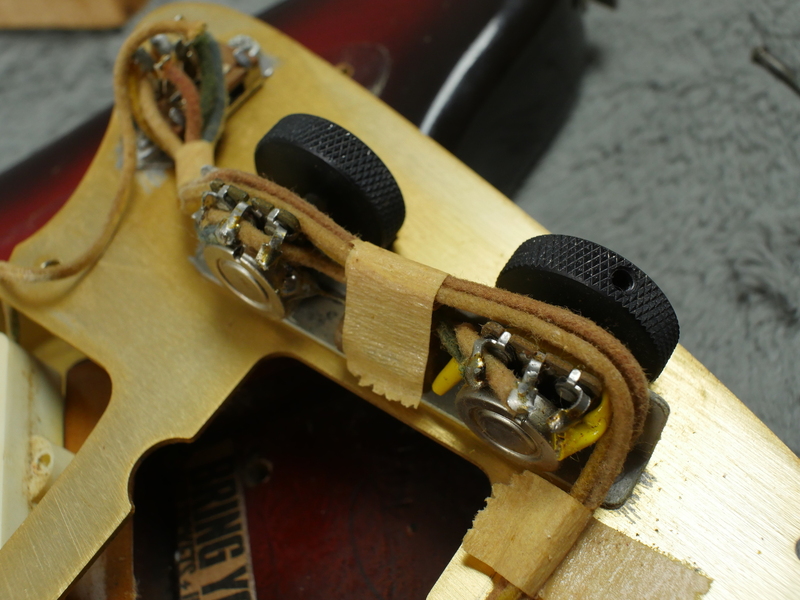 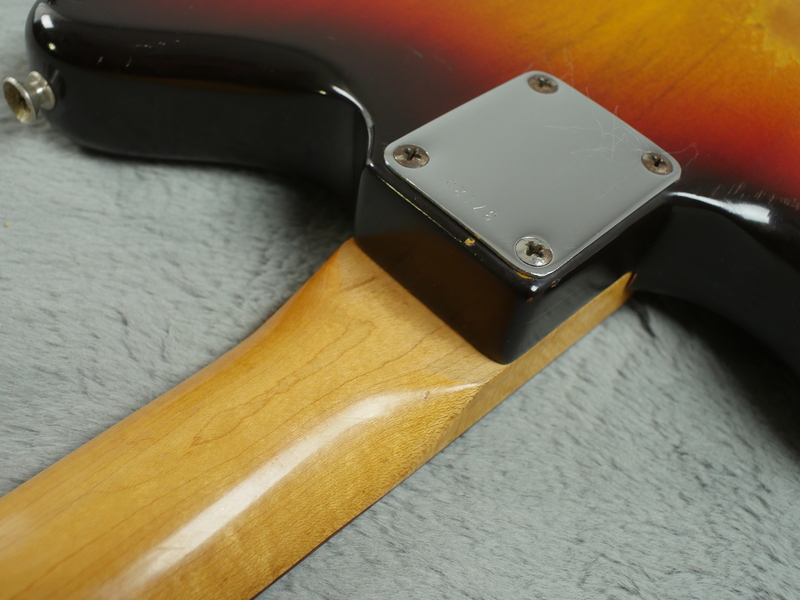 This doesn’t affect the tuning stability or playability of the guitar. 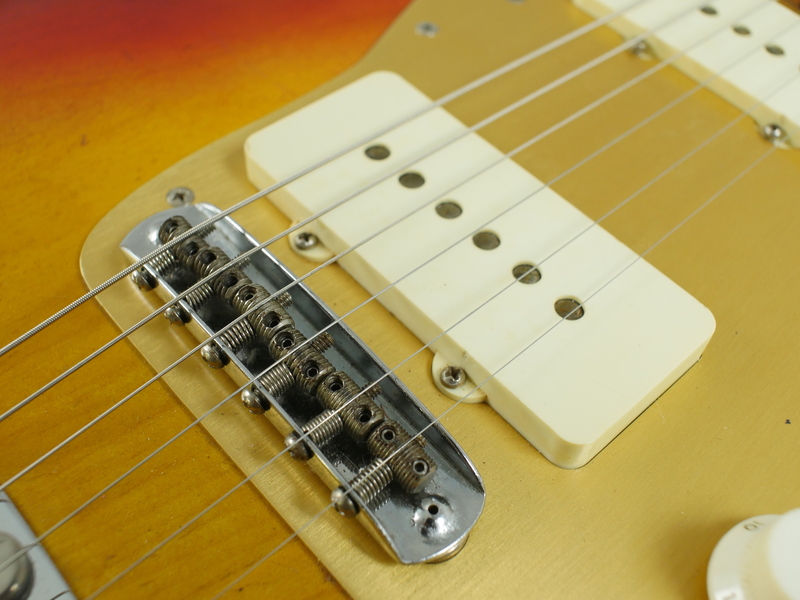 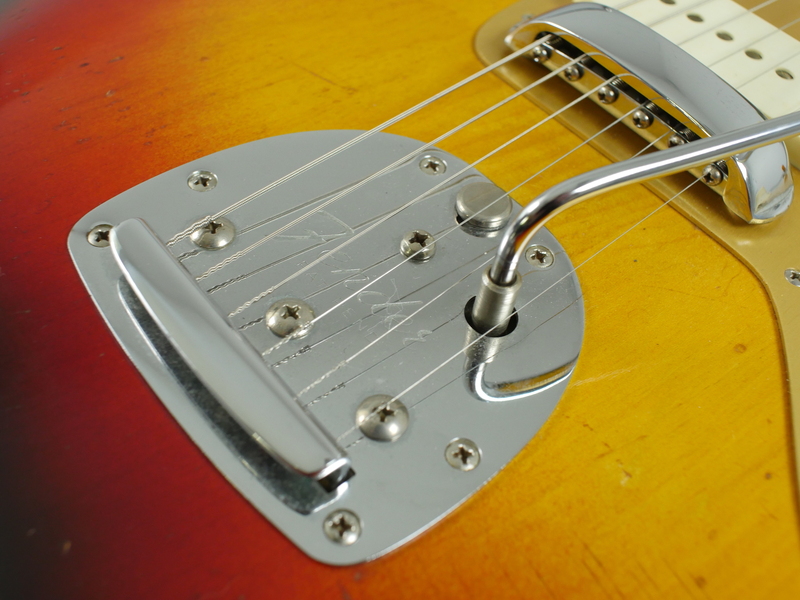 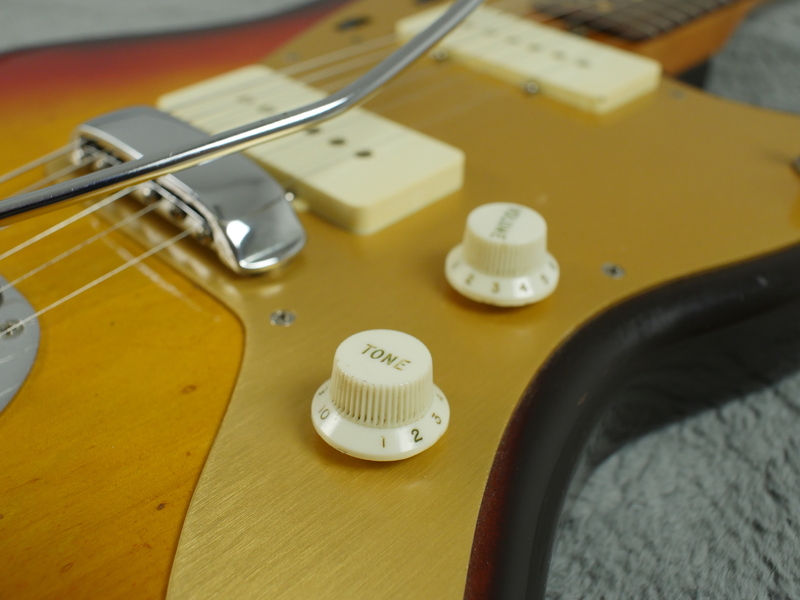 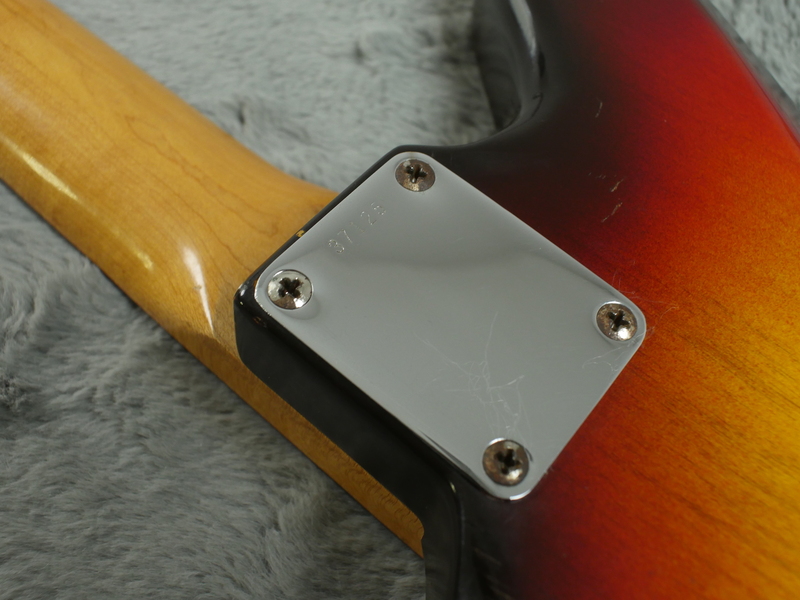 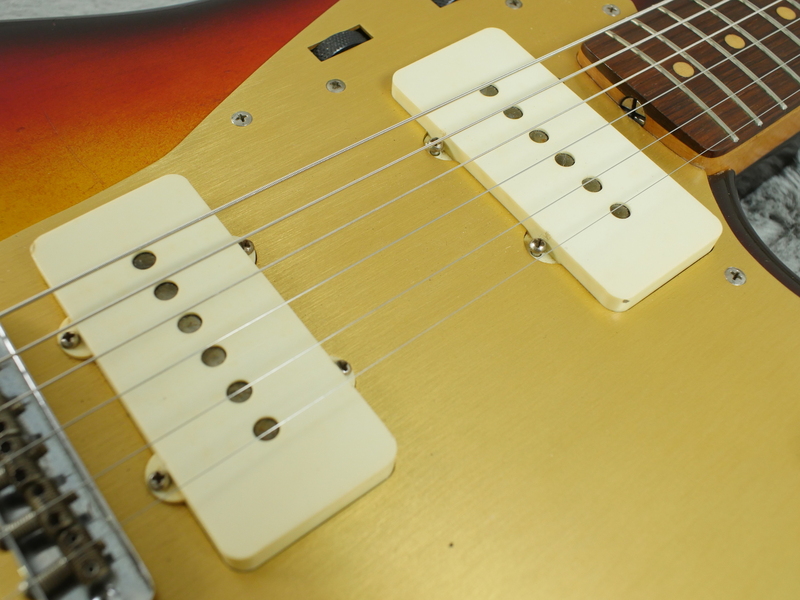 The hardware is very clean and like the guitar as whole, very well looked after. 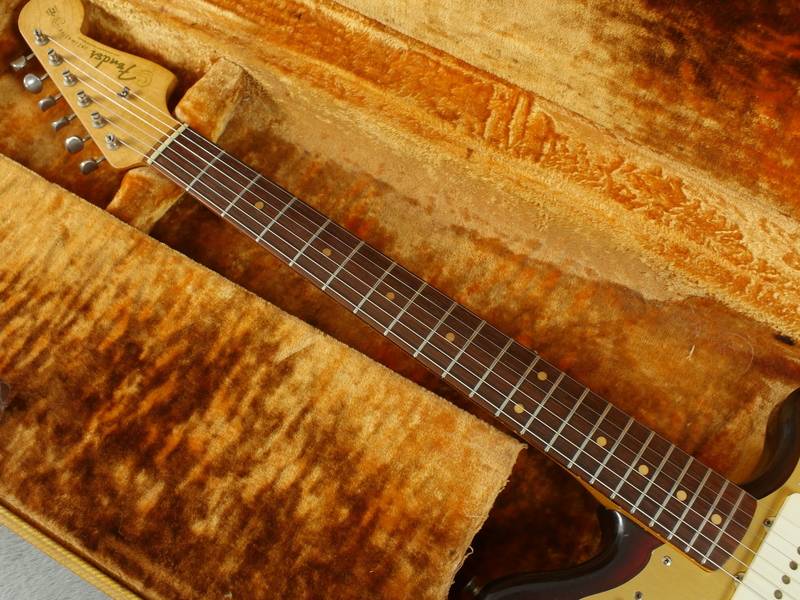 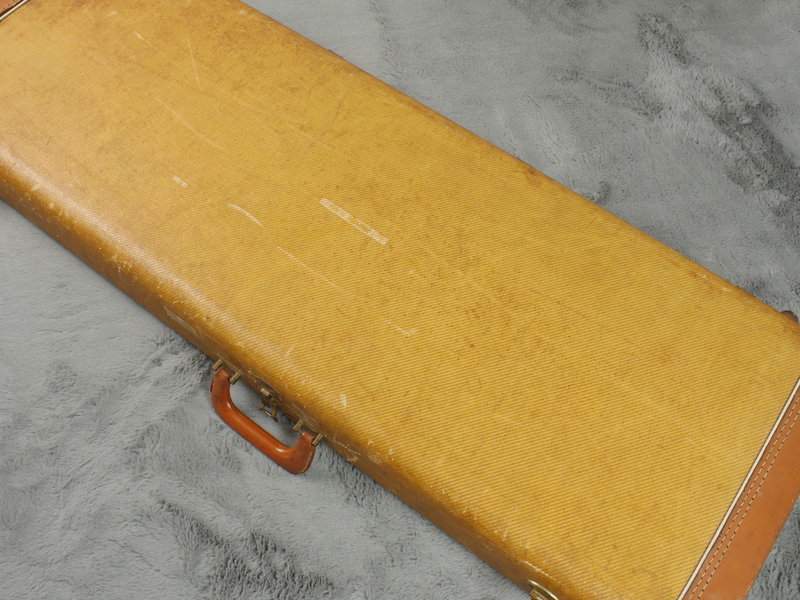 The guitar comes with the correct tweed hardshell case, which like the guitar itself, is in very nice condition. 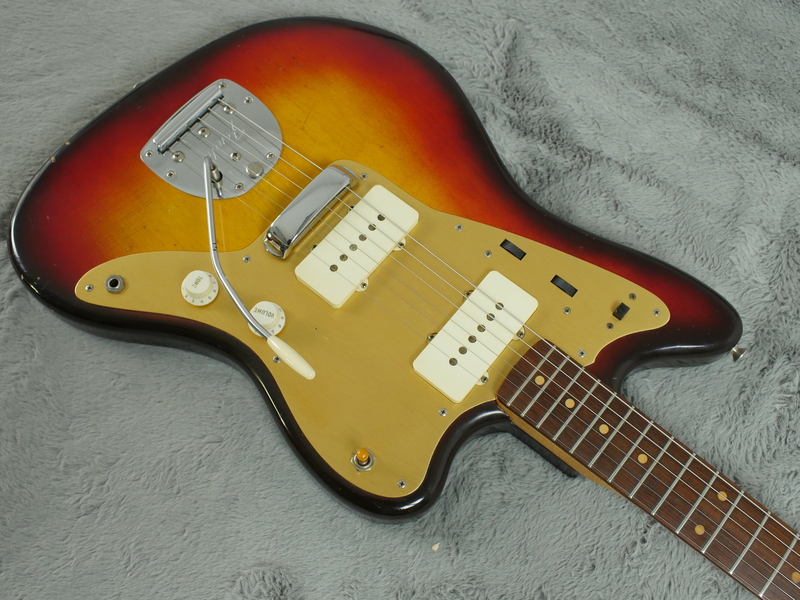 This guitar sounds great, both pickups are evenly balanced and all positions of the selector switch yield fantastic tones. 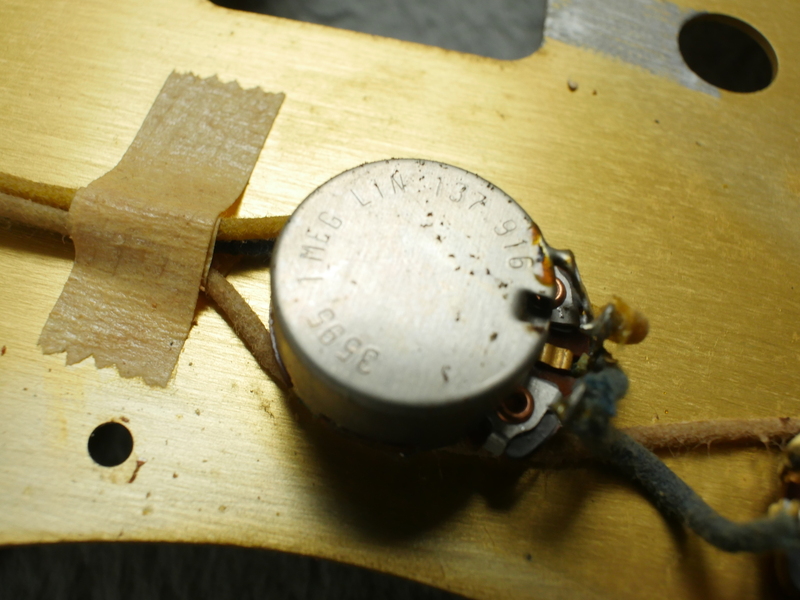 The rhythm circuit is dark without being woolly and the lead circuit brings out the character of the instrument. 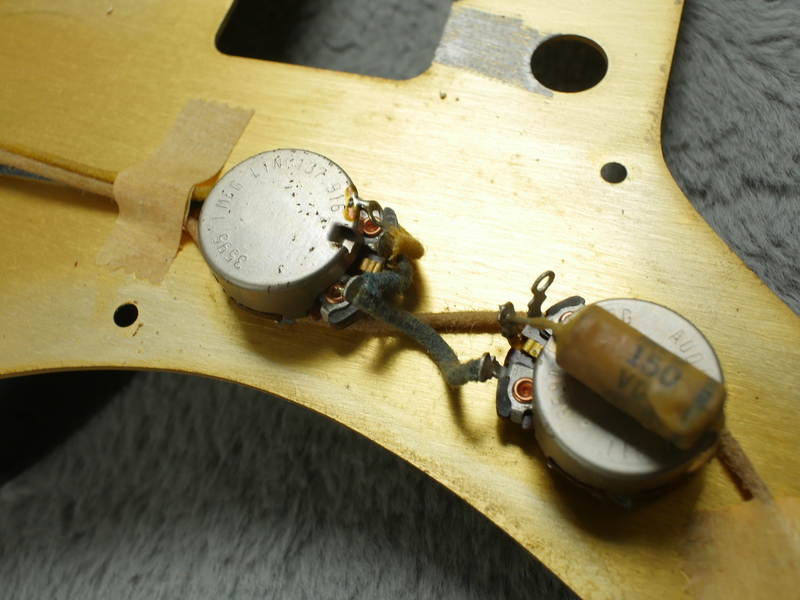 All hardware is totally correct with not a single item being swapped out as far as we can see. 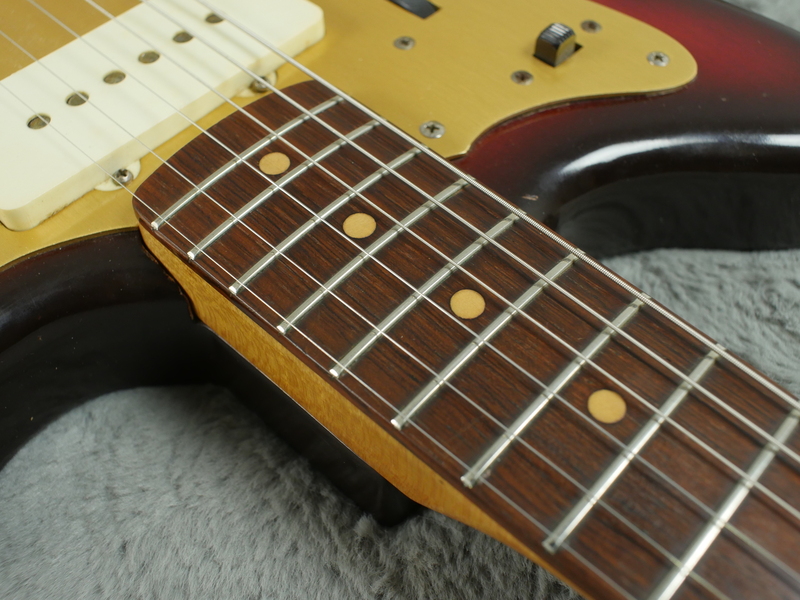 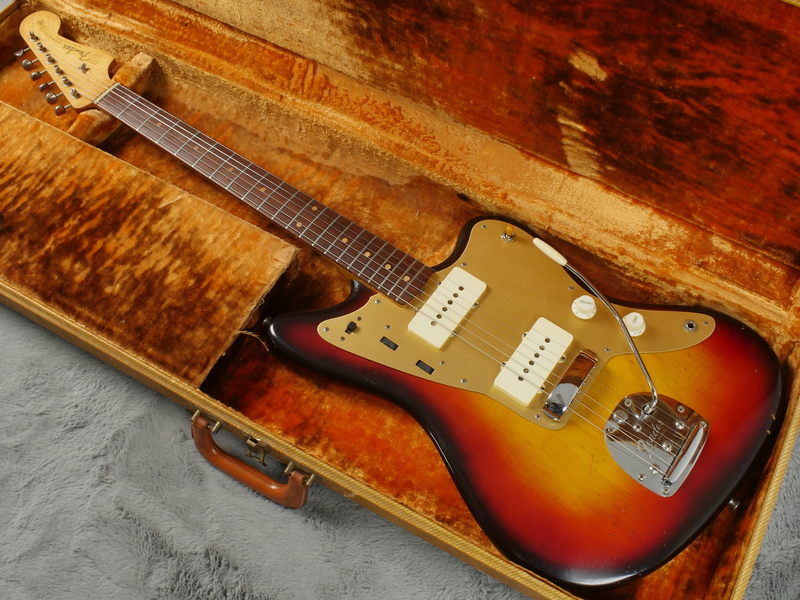 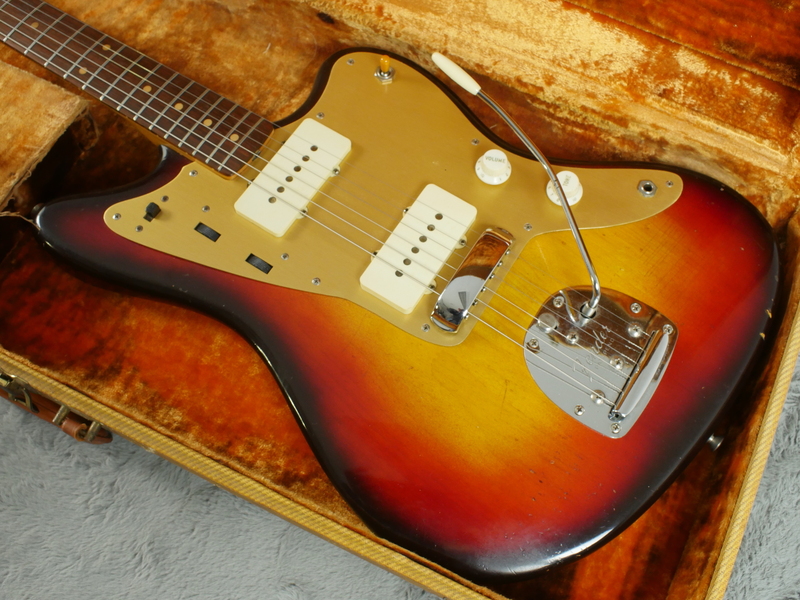 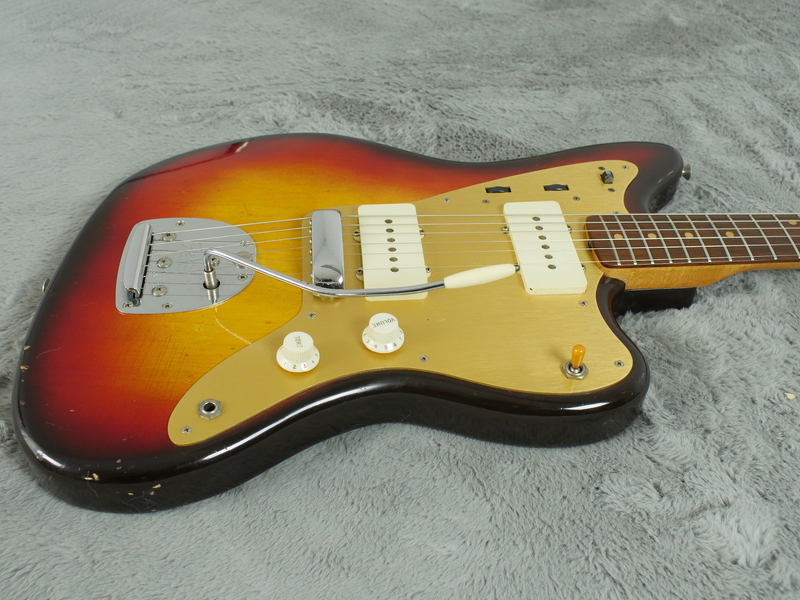 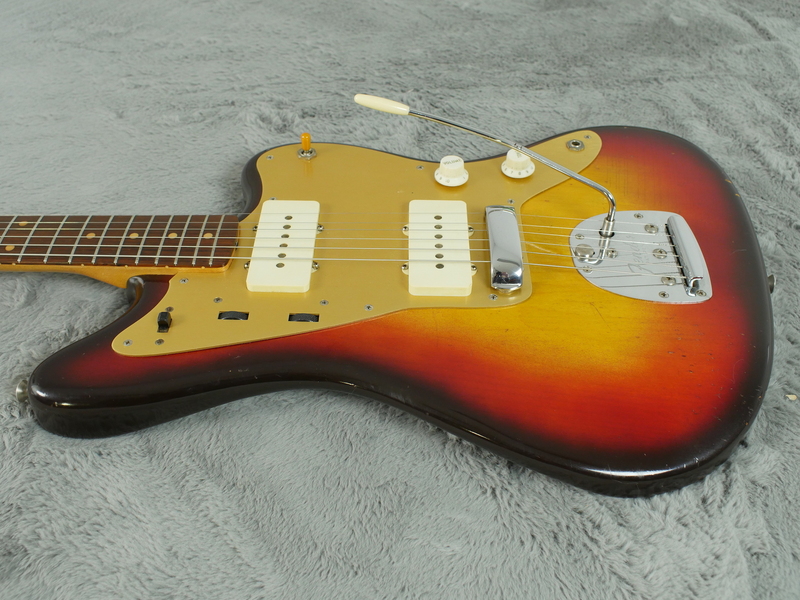 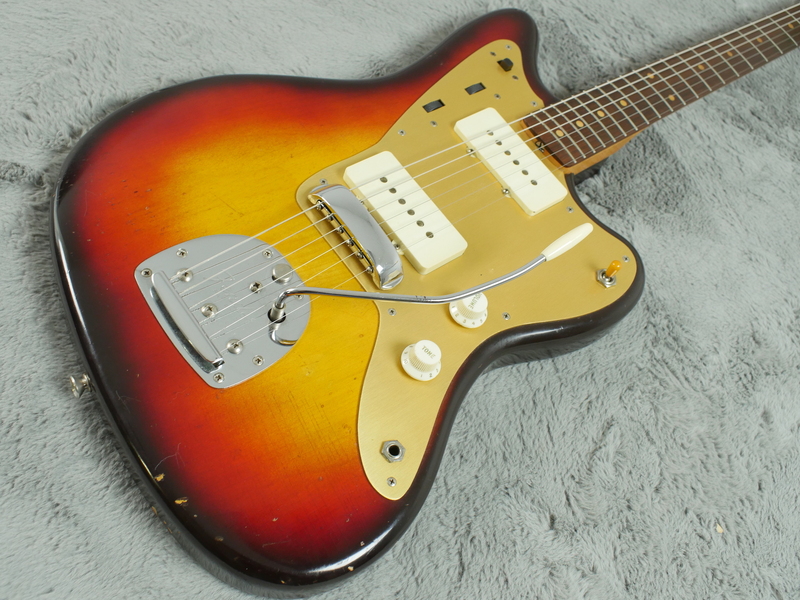 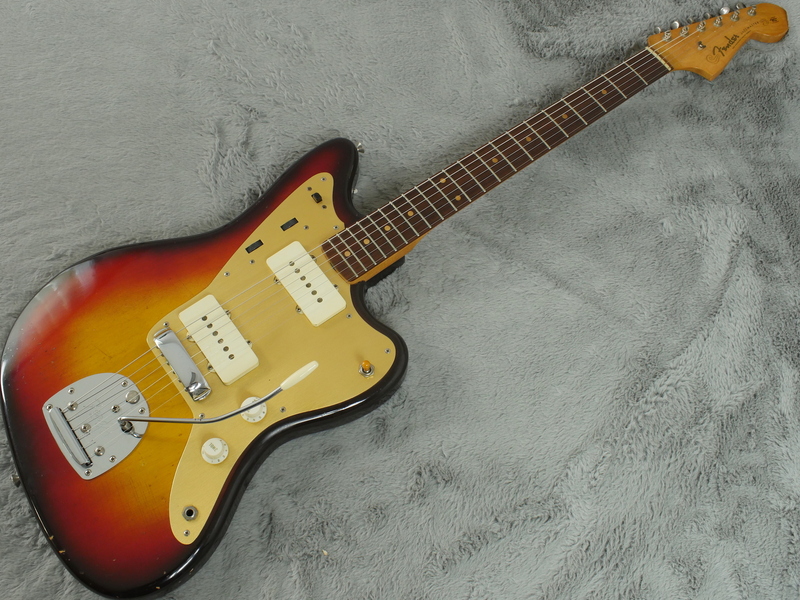 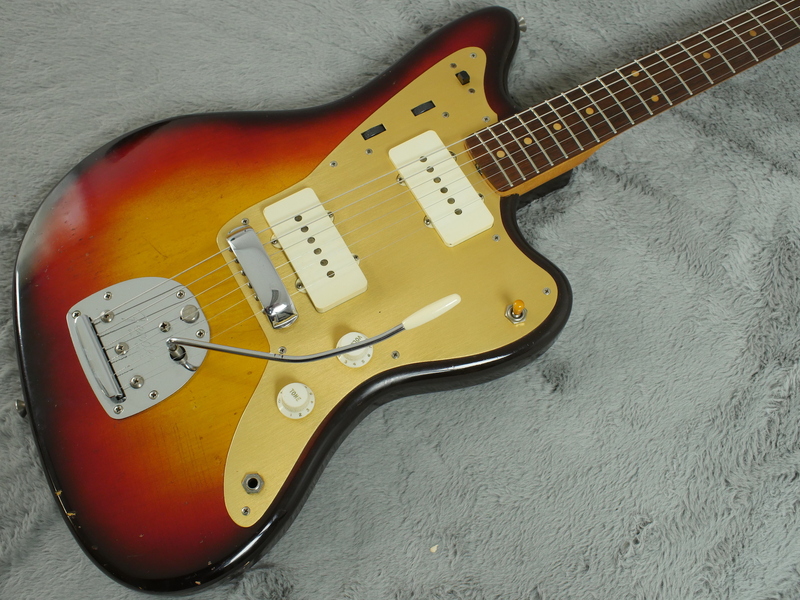 It has a good weight for a Jazzmaster and has a lovely, medium C profile neck which feels very nice indeed. 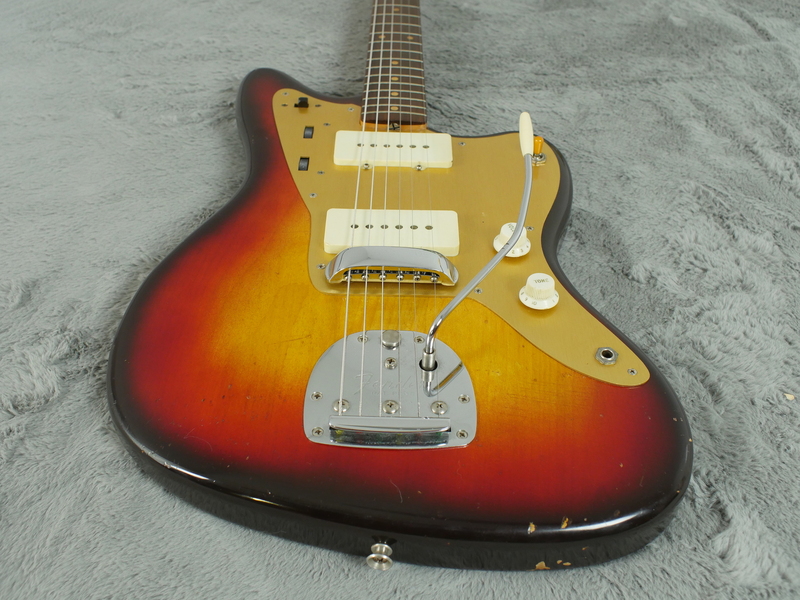 A very nice, first year JM that has everything you could wish for in great condition.